The resurfacing improvements will address defects in the road and create a smoother and safer journey for motorists. A section of the A90 north of Hatton is set to benefit from £250,000 resurfacing improvements next week. The resurfacing works began on Monday, July 3, and were programmed to take place over six days between 7:30am and 4:30pm only, finishing at 4.30pm on Monday, July 9. A 10mph convoy system will be in place during the works to ensure the safety of the work force and road users during the improvements. Consultation has taken place with local residents in advance of the resurfacing to make them aware of the traffic management arrangements and to minimise any inconvenience. 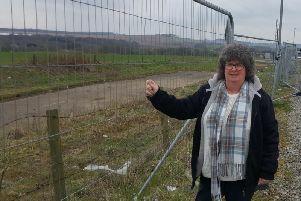 Commenting on the improvements, Andy Thompson, BEAR Scotland’s North East Representative, said: “These works have been designed to improve the general condition and safety of this section of the A90 for motorists. “We’ve taken steps to minimise disruption as much as possible during the improvements, including avoiding working at the weekends and evenings,” he added.